Swiss an aviation service provider in Tanzania. 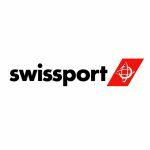 The company entered the Tanzanian market in 2001 after the acquisition of Dar es Salaam Airports Handling Company (DAHACO) by the parent company Swissport International. The company currently operates Ground handling, Cargo Handling, Aircraft maintenance and Fueling services at Julius Nyerere International Airport and Kilimanjaro International Airport. The company has also recently expanded its footprint due to the current growth saturation at the major airports into Songwe Airport and Mtwara Airport. The company listed 36,000,000 shares in 2003 at an IPO price of TZS 225.